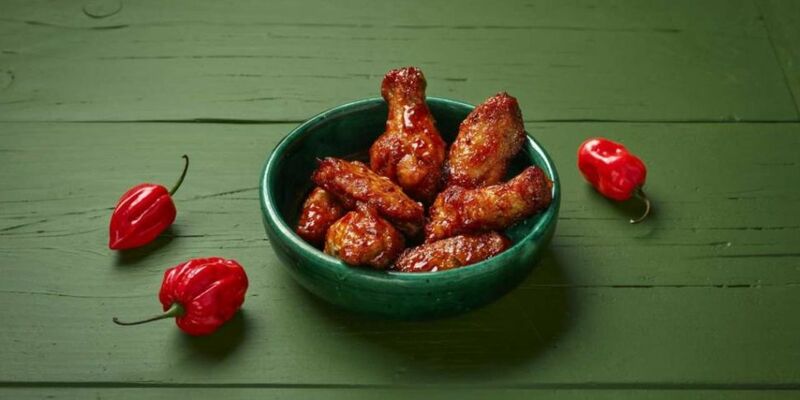 If you're a lover of all things spicy you're going to want to try Domino's new Mango Habanero Chicken Wings. The pizza company already offers FRANK’S RedHot Wings and Spicy BBQ Wings but firing things up with their new chicken dish. The wings are coated in a fiery habanero chilli and mango glaze, bursting with flavour but not for the faint-hearted. Habanero chillies are very spicy and rank very high in the Scoville scale. They come with a 3+ Chilli Rating on the menu, the highest spice rating at Domino's yet. Think you could handle them? The dish joins Domino's other chicken sides of Chicken Wings, Chicken Strippers, FRANK’S RedHot Wings, Spicy BBQ Wings and Chicken Kickers. The Mango Habanero Chicken Wings will be available at all Domino’s stores nationwide now.